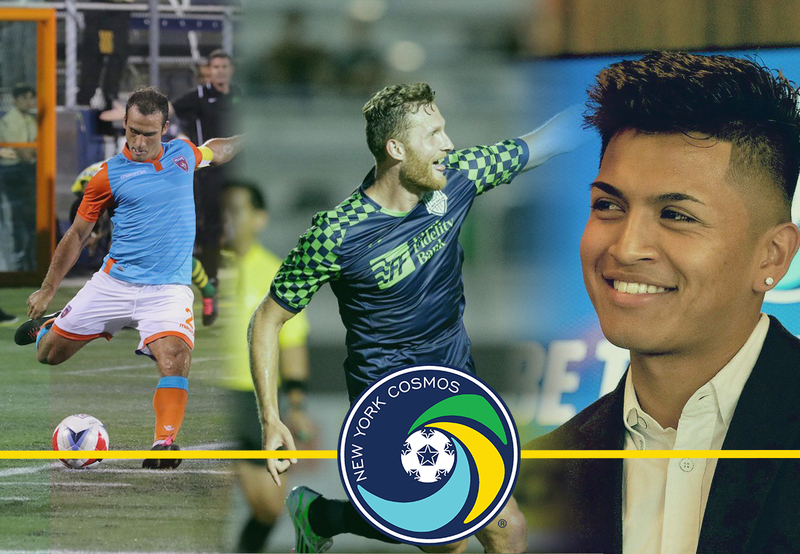 The New York Cosmos announced today the signings of two defenders, Jonathan Borrajo and Alexis Velela, as well as striker Wojciech Wojcik to its Cosmos B 2018 roster. An NASL veteran, Borrajo comes to Cosmos B after spending the last two years (2016-2017) with Miami FC. The 30-year-old saw action in 39 matches, while he dished out six assists from the backline during his tenure with Miami FC. Borrajo also helped Miami FC to claim both the NASL Spring and Fall Regular Season Championships in 2017. After spending 2015 with Fort Lauderdale Strikers, the native of Clifton, N.J. was also part of the NASL Championship Team with the San Antonio Scorpions in 2014. Borrajo, who had a stellar college career at George Mason University, has also played professionally in the USL, Norway and MLS. Velela, 19, a San Diego, California native is primarily a rightback. Part of the U.S. Youth National Team Program since 2011, starting every match for the U-17 team in the 2015 CONCACAF Championship. Velela made his first team debut with The New York Cosmos on September 3, 2016 against the Fort Lauderdale Strikers. Wojciech Wojcik, 25, played the last two seasons for the Oklahoma City Energy in the USL. Woj was born in Poland and also has U.S. citizenship. He attended Bradley University and signed his first professional contract with Finnish side FC Ilves. In 2015, he moved back to the States signing with the Indy 11. Cosmos B commence the 2018 NPSL Season by visiting Boston City FC at Brother Gilbert Stadium on May 5, at 7 pm ET. The club’s first home encounter of the 2018 NPSL campaign is against the Brooklyn Italians on May 15, at 8 pm ET, with the stadium to be announced. The New York Cosmos are the most recognized American soccer brand in the world. Since beginning play at Yankee Stadium in 1971, the iconic club has won a record total of 8 professional soccer championships and brought some of the biggest stars in international soccer to the USA including Pelé, Franz Beckenbauer, Giorgio Chinaglia, Carlos Alberto, and more recently, Raúl and Marcos Senna. For more information on the New York Cosmos and Cosmos B, please visit nycosmos.com, join us on Facebook and follow us on Twitter and Instagram (@NYCosmos). The National Premier Soccer League (NPSL) is the largest organized men’s soccer league in the United States with 96 teams competing across the country in 2017. The NPSL is a successor to the Men’s Premier Soccer League (MPSL), which was formed in 2002. The NPSL is a member league of the United States Adult Soccer Association (USASA) and sanctioned by U.S. Soccer, the governing body of soccer in all its forms in the United States. NPSL’s cooperative and turnkey ownership platform has led to its explosive growth, countless player development opportunities, and commitment to grow the game in the United States. For more information about the NPSL, please visit npsl.com.